To volunteer as an adult member of Pack 88, complete the following steps and submit all paperwork to the unit committee chairman. 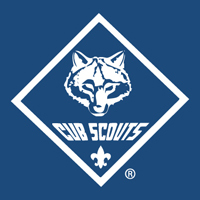 Obtain and complete an official Boy Scout of America adult membership application from the committee chairman, cubmaster, or Boy Scout office. Complete the PA Act 15 Clearances. Information on clearances can be found here. Complete Youth Protection, Hazardous Weather, and position specific training. Instructions can be found in our training help. Specific requirements for each position are listed below.